My favorite route starts at Turó de les Tres Creus and reaches the Bunkers del Carmel. 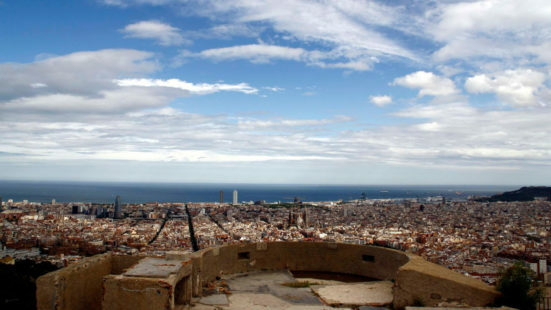 Many people do not know that from Park Güell you can reach Turó de la Rovira through the parks of Carrer de Mühlberg, which is a pity because it is a very pleasant walk that connects two essential points of the city. Only the neighbors know this path. Once I get to Bunkers del Carmel and recovered my breath after climbing the hill, I look at the city and the young people who come up here to take photos. After a while, I set off on my way home. The entire route has only been 5 kilometers, enough to start the day with energy and get fit. Afterwards, I spend the rest of the morning shopping, visiting small shops in the Gothic and the Born neighborhoods. These neighborhoods are the heart of Barcelona, ​​full of life, people and with its own flavor. Its narrow streets, its old buildings, its shops full of life … they are one of my favorite places in Barcelona and it is here where I take the opportunity to meet a friend for lunch. 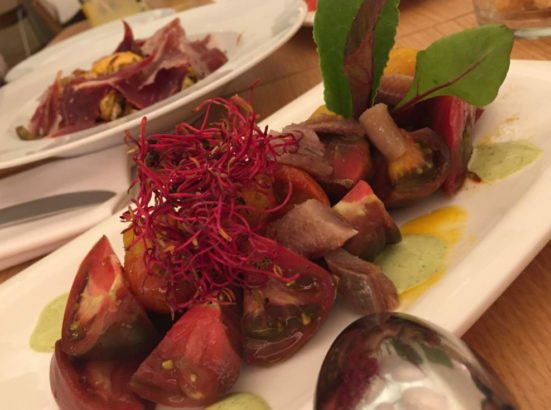 We like to choose slow food restaurants, with local products and lots of charm. This is the best way to enjoy what we eat. After the coffee, it’s time to go for a walk through one of my favorite places: Montjuïc. Montjuïc is the great forgotten of the tourists and is a pity and luck at the same time. 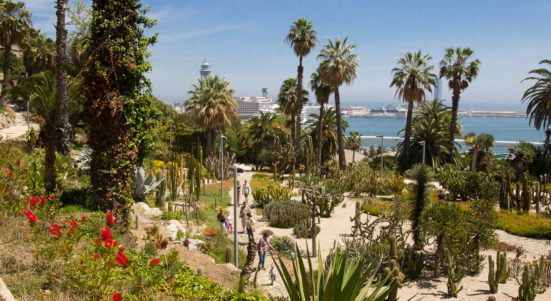 Next to the port, my route starts at the gardens of Mossèn Costa i Llobera and is one of the largest cactus gardens I have ever seen. The variety, height and beauty of these cactus are fascinating. From this point, I pass through the Plaça de l’Armada and the Passeig de Miramar. From here the views of the city are beautiful. In my tour I also pass by the municipal swimming pool of Montjuïc, Laribal’s gardens (an oasis of tranquility in the middle of the city) and the Olympic stadium. Did you know that Barcelona was the Olympic city in 1992? My route ends at the MNAC (National Art Museum of Catalonia). I have visited this museum lots of times and I really like the modernism collection. But what I like the most is sitting on its steps, outside, and watching the reddish tones of the sunset over the Magic Fountain, the Avinguda de la Reina Maria Cristina and Plaça d’Espanya. Before returning home, I visit the Arenas shopping center, which was an old bullring, and I climb up to the top floor. From the viewpoint I can contemplate the opposite view that I had from the stairs of the MNAC and now I can enjoy the views of the museum and the Calatrava tower at dusk. This view is magical. To finish the day, I return to Gràcia for dinner. I love this neighborhood because it’s like a small town where people really enjoy the street. I love to walk around the different squares and enjoy the atmosphere. The Vila de Gràcia square has its terraces, in Plaça del Sol young people sit on the floor and in Plaça de la Virreina, people sit on the steps of the church. My favorite street is Verdi, because there you can find restaurants from different countries and travel to Japan, Lebanon or Italy just for dinner. After dinner, any terrace, or any small bar, modern, charming and with its own personality, is perfect to end the day. My perfect day in Barcelona is to practice sports, visit emblematic places, eat healthily, visit charming streets, mingle with people and also get out of the hustle and bustle of the city. Would you like to spend a day like this with me? Marta lives in Barcelona, in the neighbourhood of Gracia. She is very in love with her neighbourhood and with the city. She has been teaching Spanish lessons in Barcelona for more than 20 years. 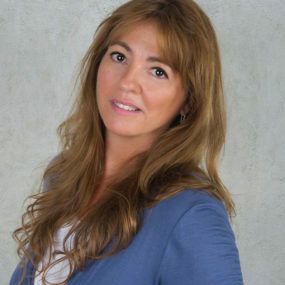 She holds a degree in Hispanic Philology from the University of Barcelona and a specialist in Spanish for foreigners from the Menéndez Pelayo University. She has worked in companies such as Siemens, Azko Nobel, AEG, Bertelsmann and the Goethe Institute and she is also a literature writer. Her latest book published is “The Girls Room”.